Rihanna once told ELLE that lipstick is her favorite beauty product because “it draws attention away from any flaws. When someone is wearing lipstick, you just assume they’re wearing a full face of makeup.” And to be honest, we can’t help but agree. When we’re on a time crunch and don’t have time to put on our other staples, like foundation and mascara, a bold lippie somehow makes our look feel complete, even if nothing else is there. And once fall arrives, vampy shades will definitely be our go-to. And though we’ve already locked down a slew of colors to keep on the docket, a little inspo certainly doesn’t hurt either. 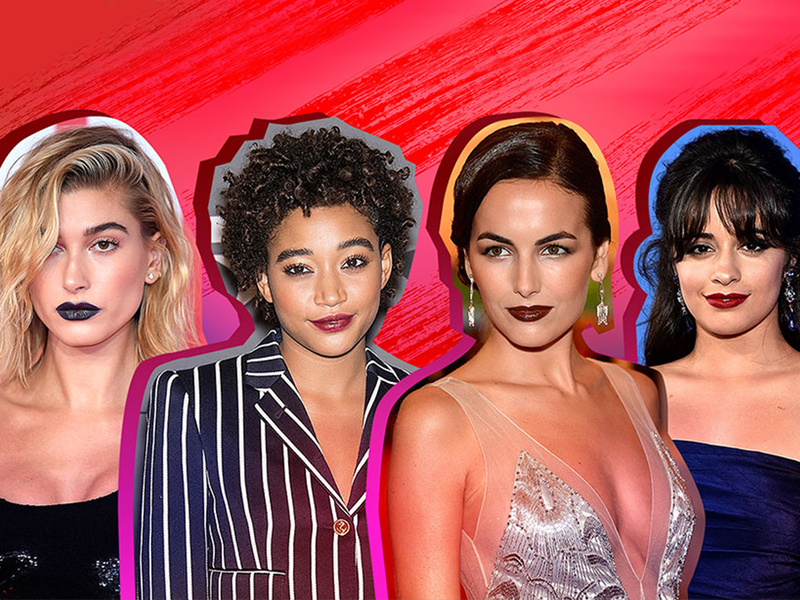 Here are some standout red-carpet beauty moments, made all the better with bold, dark lipstick. At the 2014 ARIA Awards. At the 2015 Toronto International Film Festival premiere of Our Brand Is Crisis. At the 2018 BRIT Awards. At the February 2018 premiere of A Wrinkle in Time. At the Cannes Film Festival premiere for Solo: A Star Wars Story. At the June 2018 world premiere of Ocean’s 8. At the 2018 Teen Choice Awards. At the 2018 MTV Video Music Awards. At the America’s Got Talent Season 13 live show red carpet in August 2018. At the 2018 Black Girls Rock! celebration. At the 2014 MuchMusic Video Awards. At the 2014 Met Gala. At the March 2017 premiere of Beauty and the Beast. At the April 2017 premiere of Guardians of the Galaxy Vol. 2. At the February 2018 Magnify and Fox Sports Films’ Shot in the Dark premiere.